Jessica M. Stephens, 36, of Oil City, PA. passed away peacefully at home on Tuesday March 19, 2019 surrounded by her loving family, after a very brief but courageous battle with liver cancer. Jessica was married to the love of her life, Christopher (Chris) M. Stephens on August 22, 2009, in Foxburg, PA. and he survives. She attended Oil City Schools and graduated from OCHS in 2000. Jessica obtained her teaching degree from Clarion University and her Masters in Reading Education from Clarion as well. She graduated with honors. She was very proud to be a teacher and loved her students. 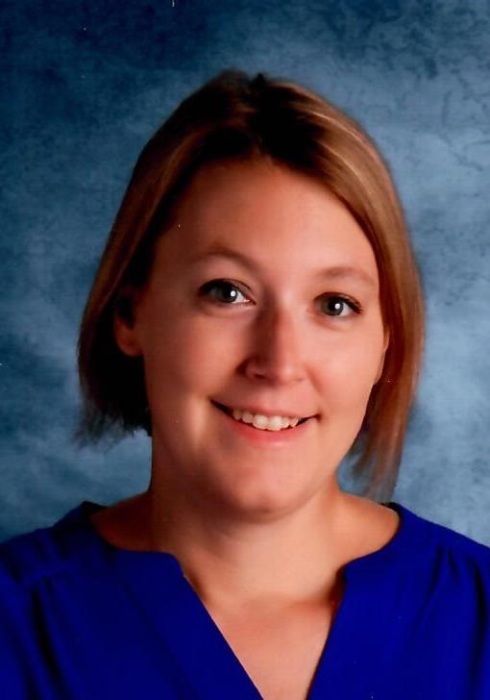 Jessica worked for two years as the Alternative Education Teacher at Oil City School District before accepting the position of English Language Arts Teacher at the Oil City Middle School. She was truly a dedicated teacher and mentor to her students. She always tried to assist her students and provided tutoring weekly for those in need. Jessica was also responsible for having her students write hundreds of letters to Veterans serving past and present for the Veterans Day holiday. Her biggest joy was her two children. Gavin and Evanleigh. Nothing made her happier than attending local sporting events for her kids. She could be found at every baseball, football, and basketball event in which Gavin participated. She also was so proud of Evanleigh who attended every event and cheered her brother on. Jessica donated her time and worked tirelessly with her husband, Chris, to manage the local Little Drillers Football. She took care of paperwork, raising donations/funding, writing grants, working equipment handouts and turn-ins, concessions, etc. She was a proud Little Drillers Navy Mom. She was a true inspiration to her family and friends. She was predeceased by her father S. David Balot, on July 30, 1986; her grandparents, Ed and Helen Sumosky, Stanley and Ruth Balot, and Eileen Stephens. Jessica is survived by her loving husband, Chris, her two children, Gavin and Evanleigh, both at home and her step-son, Jarrod Stephens, of Pittsburgh, PA. She is also survived by her faithful dog Lily. Also surviving is her mother, Sally Albright of Oil City, her brother, Joel Balot and wife Shannon of Oil City and their children, David, Aiden, and Bryce Balot. Her aunt Karen Stephens, dear friends Kim Mast and Lisa Winger, along with many wonderful aunts, uncles, cousins, and friends whom she loved dearly. Friends will be received Friday in the Reinsel Funeral Home from 2-4 and 7-9 P.M.
Funeral service will be Saturday at 11:00 A.M. in the OIL CITY HIGH SCHOOL AUDITORIUM with Rev. Mark Rusnak, Presiding. The family would like to thank Asera Care Hospice team, Andrea, Linda, and Mark, who provided care and kindness to the entire family. In lieu of flowers, donations can be made to the family for medical expenses, to Asera Care Hospice or to the Oil City Little Drillers.